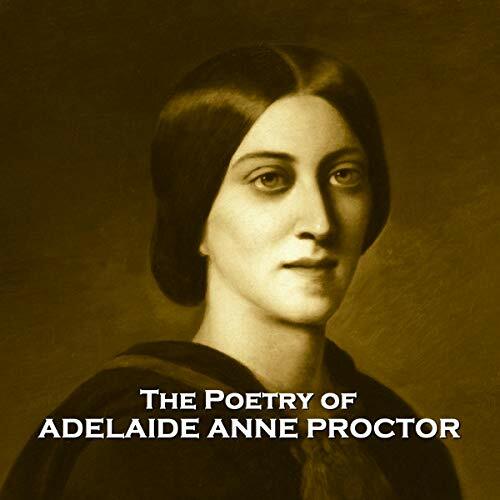 Adelaide Anne Procter was born on 30th October, 1825 at 25 Bedford Square in the Bloomsbury district of London. Her literary career began whilst still a teenager. Many of her poems were published by the great Charles Dickens in his periodicals Household Words and All the Year Round before being later published in book form. A voracious reader, Procter was largely self-taught, though she did study at Queen's College in Harley Street in 1850. Her interest in poetry grew from an early age. By 1853 she was submitting pieces to Dickens's Household Words under her pseudonym, Mary Berwick, electing that this way her work would be judged for its own worth rather than on the friendship between her father and Dickens. Dickens didn’t learn of her true identity for over a year. ‘Minstering Angels’ was to be the beginning of a long and mutually beneficial relationship of publishing in Dickens’ journals that would eventually reach 73 poems in Household Words, together with a further seven poems in All the Year Round, most of which were collected and later published into her first two volumes of poetry, both entitled Legends and Lyrics. Proctor was also the editor of the journal Victoria Regia, which became the showpiece of the Victoria Press, a venture hoping to promote the employment of women in all manner of trades and professions. Procter’s health failed in 1862. Dickens and others suggested that this illness was due to her extensive and exhausting schedule of charity work. An attempt to improve her health by taking a cure at Malvern failed. Adelaide Anne Proctor died on 3rd February 1864 of tuberculosis. She had been bedridden for almost a year. Procter was buried in Kensal Green Cemetery.